This is a first-time win for Club Fido & Friends, who celebrate their fifth year in town later on this fall. Unlike most doggie daycare facilities, Club Fido is an all-open play environment – your pup will never see the inside of a kennel there. “It’s a unique situation,” says Ashley Lowden, co-owner of Club Fido with her husband, Denver Dietrich. “We want to offer that open-play environment. Most other places are at least half-and-half open play vs. kennel. When clients go to those places, they may have one thing in their mind for their dog, which might be very different from what the facility has planned. 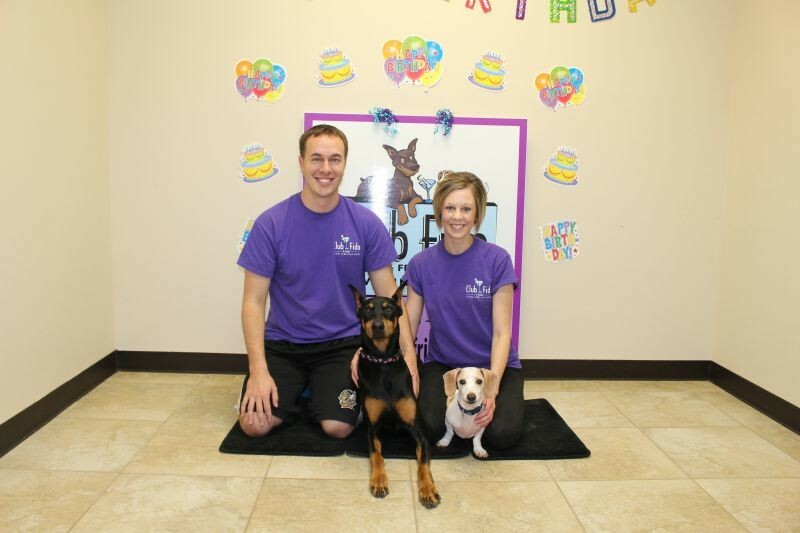 It’s vastly different here because we don’t use the kennel option,” Ashley explains. Every dog that stays at Club Fido’s facility off Ogeechee Road has to pass an “audition” where the staff watches to see if the new pup interacts well with the other dogs. If your pooch passes, you’re part of the extended, and very happy, Club Fido family. Ashley says the main source of gratification in this demanding line of work is “Definitely the dogs! There is stress with dealing with dogs. The ‘what-ifs’ are indefinite. Anything can happen when you’re dealing with animals,” she says. Ashley grew up on a farm in Minnesota, and she says there are similarities between that and what she does now. “Just like on a farm, you have to get up early in the morning and feed the animals,” she laughs. Of course, it’s a 24-hour business, with dogs staying over each night, sleeping out in the open just as they play out in the open. Who usually has the night watch? “You’re looking at him,” laughs Denver, also an Army Blackhawk helicopter pilot. While for many months Club Fido has been full-up and not able to accept any more clients, they’re now happy to announce that their business is growing and after Memorial Day they will be accepting new canine customers. “The pet friendliness of this area is helpful. The tourist thing is also huge because we get a ton of traveling folks. Initially when we opened that’s how we were able to flourish from the get-go. Now, we have an established clientele,” says Ashley.